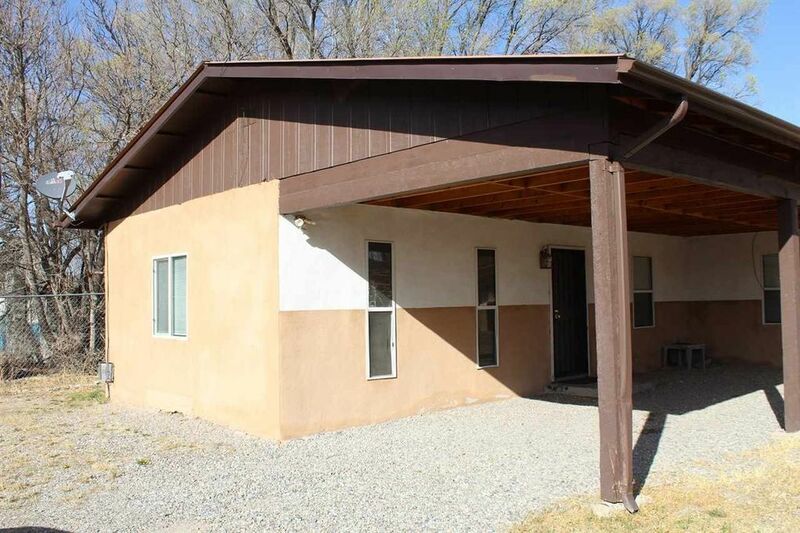 This home is small and cozy - located in a rural area, completely fenced and quiet. Country Living. The home has been well maintained. The carpet is new in the two bedrooms and living room. A corner in the living room is prepped for adding a pellet or wood stove. The kitchen and living home have beautiful ceilings with vigas and beams. Two carports. Property has community water and recently installed new septic system. A small orchard with a variety of fruit trees. Irrigation rights to be able to plant a flower or vegetable garden. Easy commute to Espanola, Los Alamos, Santa Fe, or Taos.